World of Warcraft expansion Cataclysm is officially available for pre-order through Battle.net. If you purchase your copy now you will be able to download the expansion before the release date, allowing you to start playing the second the title is launches. Blizzard has also made digital upgrades available now, however they wont unlock until the officially launch time, which is December 7th at 12:01 am PST. If you have any questions about upgrading, launch dates and times, or the Collector’s Edition, you will most likely find the answers in the Q&A below provided Blizzard. Questions about gameplay can be found here. 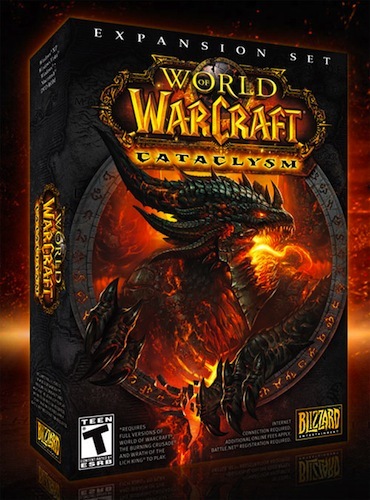 You can order pre-order World of Warcraft: Cataclysm digital download for $39.99 here. Beautiful game, from where i can download this application? Next Entry: New Details Emerge About the "Nexus Two"